iGRIND4REAL: ***CONGRATS*** #CelebNews Wiz Khalifa’s “See You Again” Video 1st Rap Video To Reach One Billion Views On YouTube! ***CONGRATS*** #CelebNews Wiz Khalifa’s “See You Again” Video 1st Rap Video To Reach One Billion Views On YouTube! 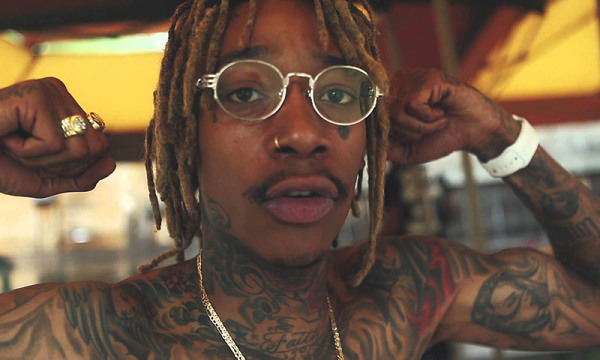 Making history and setting records, Wiz Khalifa impresses the many with new video! HipHopWired reports: Wiz Khalifa’s monster Furious 7 single “See You Again” has just reached a new milestone. Released in April of this year, it only took six months for it earn the distinction of being the first ever rap video to reach one billion views on YouTube. The song also doubles as the Taylor Gang general’s biggest hit of his career; hitting No. 1 on the Billboard Charts a week later and staying there for twelve non-consecutive weeks. As of August 2015, it have been certified triple platinum. Billed as tribute to the late Paul Walker, who died during the filming of Furious 7, co-writer Charlie Puth went on record to state he penned the song’s chorus for a friend who also died in a car accident. Khalifa has now joined an elite club of artists who have achieved the nearly implausible one billion views on YouTube. PSY’s “Gangnam Style” virtually doubles on all other competition with more than two billion views while Taylor Swift and Katy Perry both hold down a couple of slots as does the recently certified “Uptown Funk” from Mark Ronson and Bruno Mars. Check out the record-breaking “See You Again” video below and hit the flip for the full lists of videos that achieved one billion views on YouTube. #NewListen Chase N. Cashe ft Les - "Goin' Dine"
#NewListen Tyga - "Dope'd Up"
#OfficialNewVideo Tyga - "Ice Cream Man"
***BANGER*** #NewListen Wale - "New Phone"
#OfficialNewVideo Lil Bibby - "Word Around Town"
#OfficialNewVideo Wiz Khalifa - "Most Of Us"
#OfficialNewVideo Young Chop - "Bruce Lee"
#NewListen Ty Dolla $ign - “Airplane Mode"
#OfficialNewVideo Rich The Kid - "Expensive"
#OfficialNewVideo Kidd Kidd - "Fake Friends"
#OfficialNewVideo Soulja Boy - "Jumpman"